Biodynamics is an advanced organic method of growing, first introduced by Dr Rudolf Steiner in 1924. It has developed most widely and successfully in Australia, where Alex Podolinsky undertook to fulfil Steiner's wish that it become the agricultural method for farmers in the future. In Australia, Biodynamic farming is practised on over two million acres (0.8 million hectares), a development that is unprecedented worldwide. “Australian Professional” Biodynamic agriculture, as developed by Alex and the farmer members of the Bio-dynamic Agricultural Association of Australia (BDAAA), has been adopted by hundreds of farmers in Europe with the same exceptional results as have been demonstrated in Australia. 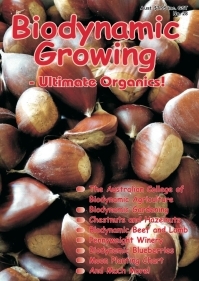 Biodynamic gardening methods are used by many people throughout Australia. The Biodynamic Gardeners Association Incorporated trains gardeners and small holders in the “Australian Professional” Biodynamic method. Members gain access to the most effective Biodynamic soil and plant enlivening preparations available. Biodynamics involves the use of a wide range of techniques including the all-important Biodynamic preparations, a series of biological materials that powerfully develop soil microbial activity, root growth, humus formation and light metabolism. Other techniques include Biodynamic composting, careful cultivation methods, and the use of a scientifically based moon and zodiac planting chart to enhance production. Biodynamic soils become progressively darker, more friable and fertile, and develop open structure and fertility to greater depths. Biodynamic plants develop superior flavour and nutritive qualities. 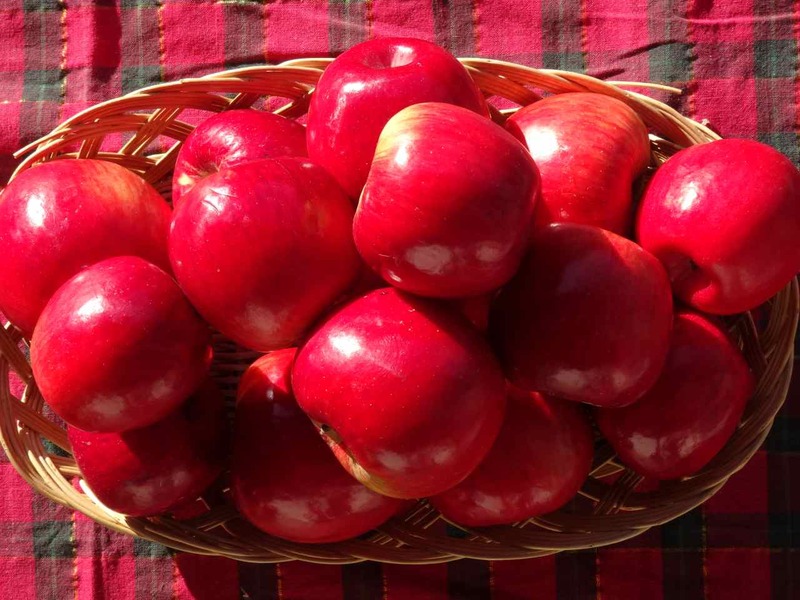 Biodynamic fruits and vegetables stay fresh longer than conventional or (non-BD) organic produce. Biodynamic farming has been scientifically shown to produce more friable, fertile soils and healthier plants and animals. Under Biodynamics, soils develop much higher humus levels, (absorbing and holding considerable tonnages of carbon dioxide from the atmosphere), allow faster infiltration of water, hold much more water than conventional soils and require less frequent irrigation. Biodynamics can progressively bring salt-affected land back into full production. Biodynamic Growing magazine seeks to spread knowledge of this most successful "Australian Demeter-standard" Biodynamic method so that the Earth may be revitalised, and continue to sustain humanity and the ecosystems we are responsible for. Material appearing on this website is Copyright and reproduction in whole or part without permission is prohibited. Requests are usually approved. Congratulations on a truly outstanding magazine – both informative and inspirational. Thank you very much for your important work in helping spread the news about Biodynamics. Can I take this opportunity to thank you for your efforts with the Biodynamic magazine. It is probably the most helpful and inspiring literary tool we have at our disposal and certainly well received and read by all here. I have now translated the first article from your wonderful magazine into Danish. I will send it along with this letter. Again, thank you for publishing such a good magazine. I write about it everytime I write an article for our biodynamic journal in Denmark. Excellent magazine John and co. – many thanks. I’m embarrassed to admit not having seen your magazine until yesterday. I was so taken with your beautiful cover and excited at finding a Biodynamic magazine.